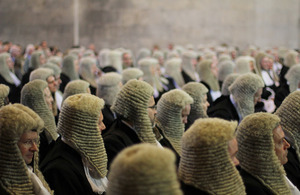 • 8 judicial, 6 practitioner (ideally Queen’s Counsel) and at least 4 client assessors. Although the selection of cases and the nature of your approach to assessors raise tactical issues, it is the selection of best examples that is the greatest challenge for most silk applicants. This difficulty arises for a number of reasons. Firstly, a case of substance may not necessarily provide an example of excellence relevant to the competencies. A lesser case may provide a much stronger example cross-examination (oral advocacy) than one of your 12 cases. Secondly, lawyers tend to remember the facts of the case and the parties involved more than they can recall specific issues / events that arose during the case. Once you have dealt with a case it effectively moves from your short-term memory to long-term memory. It is, however, the third reason that presents the greatest obstacle to recollection. At the heart of all competency based processes is the requirement that when selecting examples the focus is on the action element within the example. 1. The situation i.e. facts of the specific challenge you were facing e.g. you had to develop an argument where there was no domestic authority on point. 2. Your action or process to deal with the challenge e.g. the specific research you undertook and the argument you developed. 3. The outcome i.e. your argument succeeded or failed rather than the outcome of the case. Firstly, to some extent the way you deal with a challenging situation is something you may not need to reflect on greatly. If researching a specific legal issue, you will know where to look and you will have developed a research methodology over the years. Similarly, even if you are cross-examining an expert witness that you haven’t encountered before, over the years you will have developed pattern recognition, cross-examination techniques and a feel for the evidence. It is for this reason that many clients will say to us there is nothing remarkable about any of the examples they can recall. Secondly, after you have dealt with a case, although you may discuss the facts of the case or the behaviour or character of some of the parties (inc lawyers and judges) in the case, you will rarely spend time explaining the specific actions that you took to deal with a challenge. If you are the sort of lawyer who enjoyed talking about your brilliant cross-examination or clever legal submission, you will probably have few friends. This means the silk application process is often the first time an applicant is having to try and recall a specific situation and explain in detail how they dealt with it. On this point it’s important to bear in mind that it is not sufficient to simply say that you cross-examined the witness and obtained the concession that you were seeking. You will need to bring to life your cross-examination for the reader. • Give yourself sufficient time. It is not simply the drafting that takes time. You need to time to reflect on you cases and let your subconscious mind trawl through your memory banks while you are doing something else. • Carefully consider the QCA’s competency framework. This is an excellent document that contains examples of the way an applicant might demonstrate excellence in the competencies. Although the examples are by no means exhaustive, this document is an extremely useful starting point. Applicants should also consider the lesser known QCA document ‘Panel Approach to Competencies’. • Review your pleadings, notes and any available transcripts. Recent research has demonstrated that 80% of our memories are inaccurate to some degree and reviewing these documents often triggers examples of excellence long forgotten. Martin is the founding partner of JAT.